ATTRACTION OF THE MONTH (includes last month and next month). click to ENLARGE (184 kb). 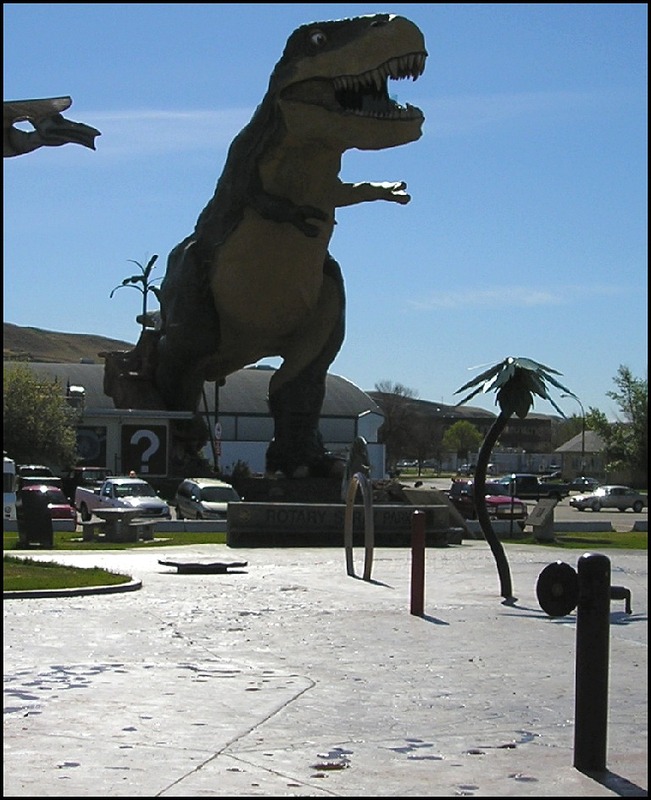 On the left is the GIANT T-Rex which is located in Drumheller, Alberta. This 184 kb T-Rex can fill your screen. or a childrens story about a dinosaur. To panoramic views (5) of the Drumheller area. 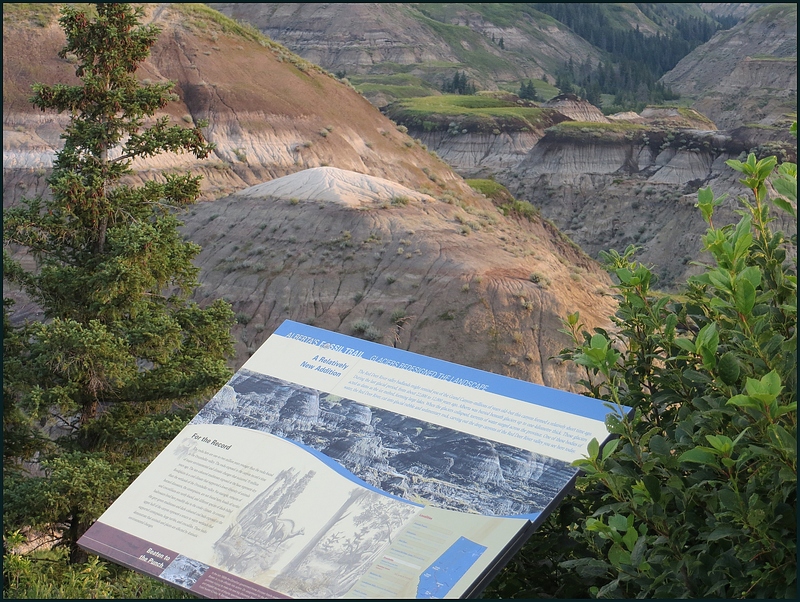 These clickable thumbnail photographs include a 360 degree view of the Horseshoe canyon badlands, an attractive valley, the town of Drumheller, and a few other cooler panoramic photos. To news story supplement which is a different topic. Instead of photographs, I have posted a tool. It can help you cope with technology, to become more rational, and to gain better understandings of issues. 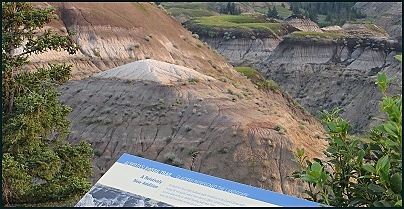 The new Horseshoe Canyon (17 km west of Drumheller). NEW paved roads and parking; new trees, signs, and washrooms. Originally posted June 22, 2002. �2002 Brian M. Brown All rights reserved. 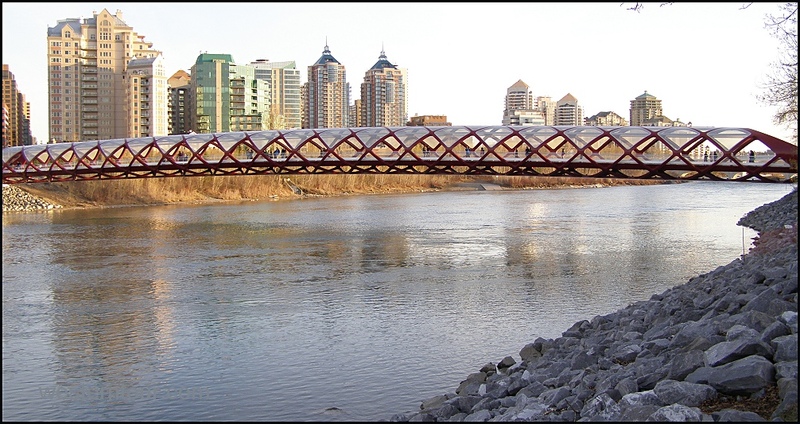 All photographs are marked with almost invisible identifiers. Web site Designer and contact info.